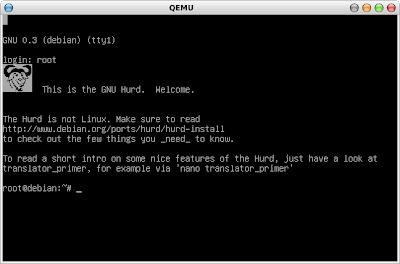 The Debian GNU/Hurd team announced the release of Debian GNU/Hurd 2013. I downloaded the image last night. I need to remember to login as root without a password. 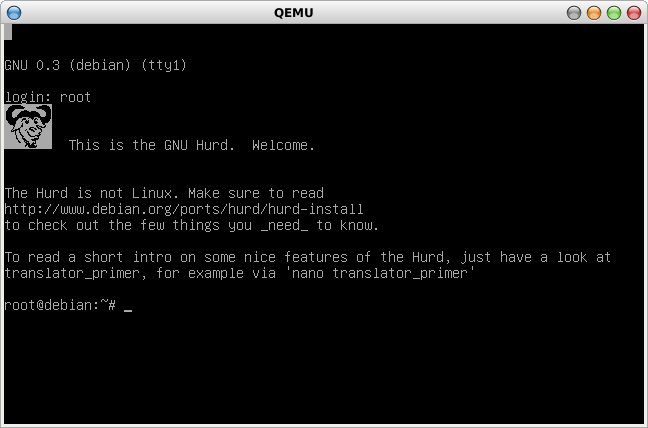 This is a screenshot of the OS in action.